SAN FRANCISCO—The California Supreme Court Committee on Judicial Ethics Opinions (CJEO) invites public comment on a draft opinion discussing whether judicial officers may serve on the board of a charter school or a nonprofit organization operating one or more charter schools. CJEO Draft Formal Opinion 2017-011 advises against service on a charter school board, based on the unsettled case law regarding whether service on a charter school board is a governmental position and therefore prohibited by canon 4C(2). Moreover, the risk of automatic resignation from judicial office upon acceptance of a charter school board position if such position is found to be a public office pursuant to Article VI, section 17 of the California Constitution further leads to the committee’s recommendation that a judge not serve on a charter school board. 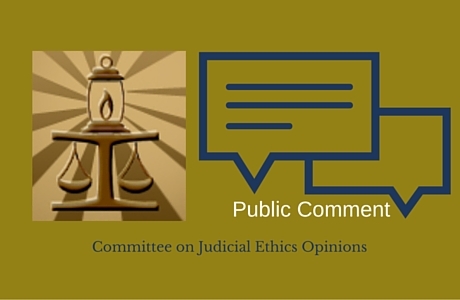 The draft opinion and invitation to comment are posted on the committee’s website. The deadline for comment is April 12, 2017. The committee invites the public to comment on this draft advisory opinion. All comments submitted to the committee are confidential communications and precluded from disclosure unless confidentiality is waived. (Cal. Rules of Court, rule 9.80(h); CJEO Internal Operating Rules and Procedures, rule 5(b), (e).) Those comments submitted with a waiver of confidentiality will be posted for public view on the CJEO website at the close of the comment period. All of the comments the committee receives will be carefully considered by the CJEO members when finalizing and approving CJEO Formal Opinion No. 2017-011.